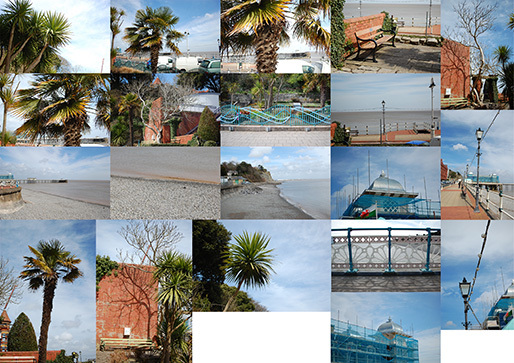 My blog hasn’t been deserted! 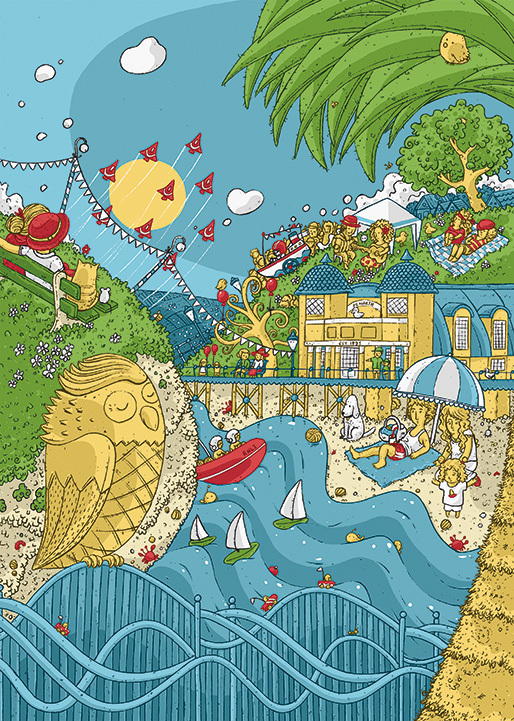 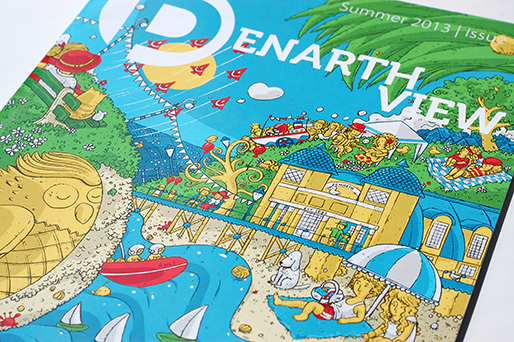 And to start this long awaited catch-up, here is one of my recent attempt to get involved in my local Welsh lands: I’ve illustrated the cover for the Summer 2013 issue of Penarth View, a magazine promoting local businesses in Penarth and Cardiff. 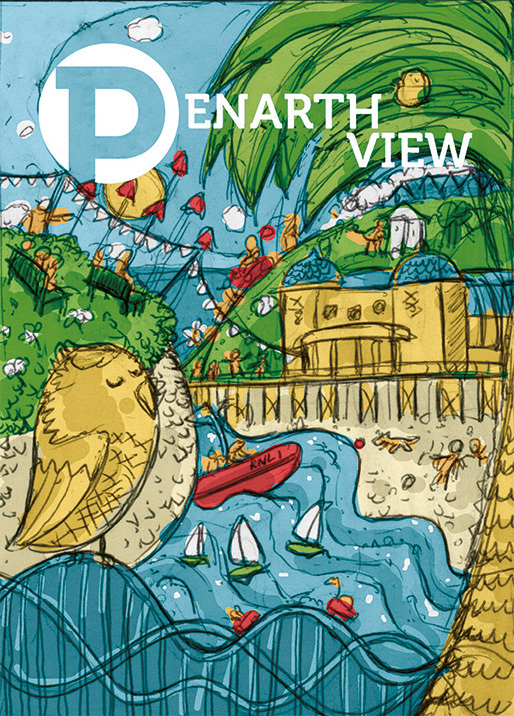 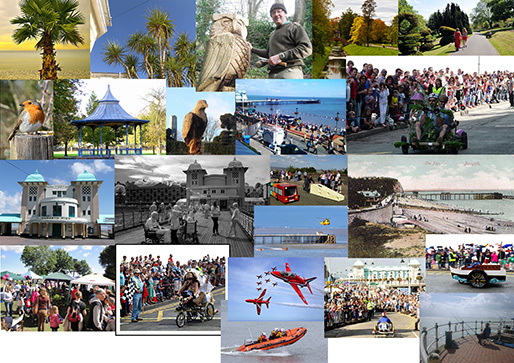 The main idea was to focus on the Penarth Summer festival, local communities, the sea front, and in one word “the Penarth feel”. 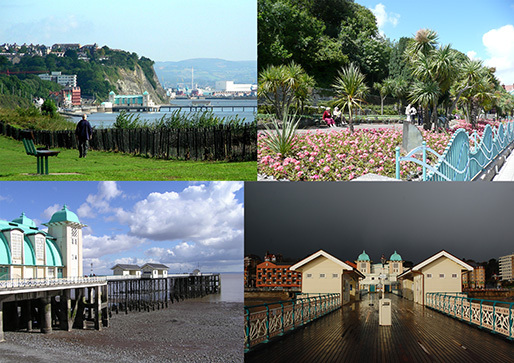 Being an happy inhabitant of this pretty Welsh gem helped on getting inspiration, and I tried to fit in all those bits I connected with after living in Penarth for nearly a year. 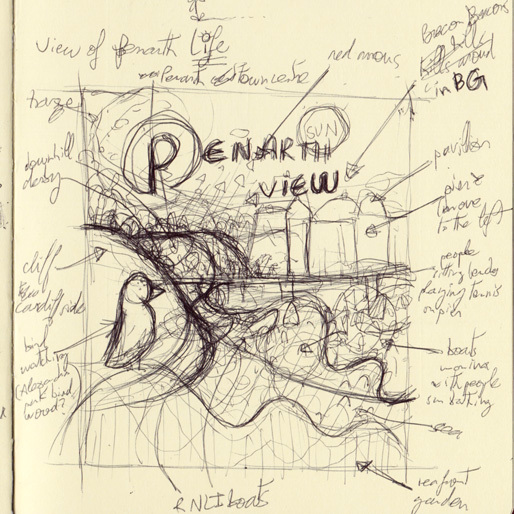 As a main concept I started by curving Penarth’ sea front so it could fit in one “view”. 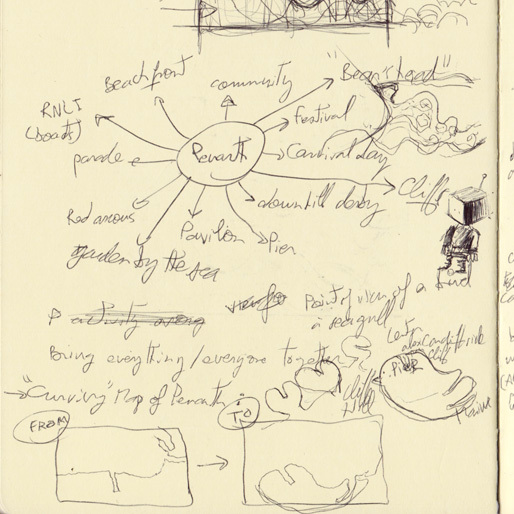 The so useful but so busy inspiration boards, mostly composed of self-taken photographs (one of many “working locally” advantages). 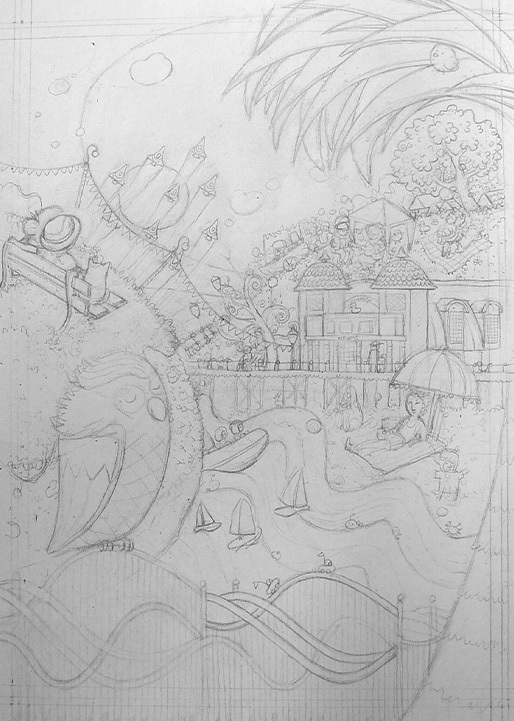 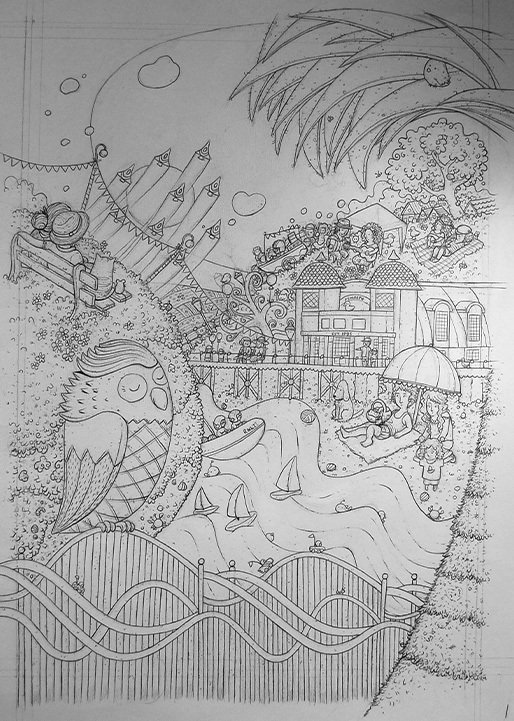 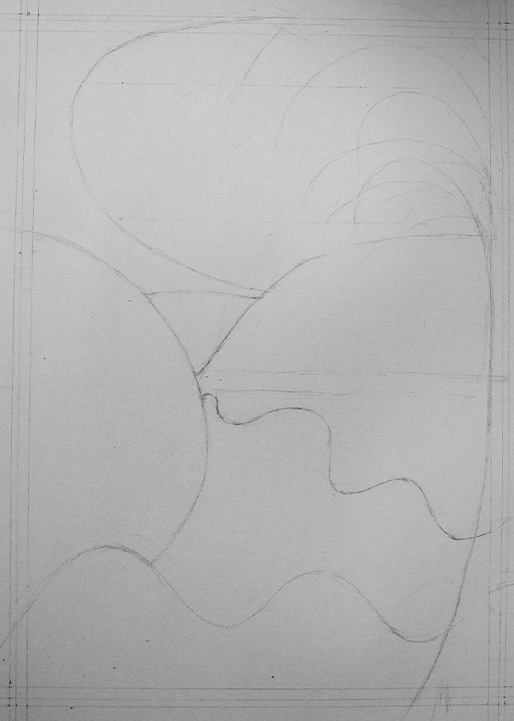 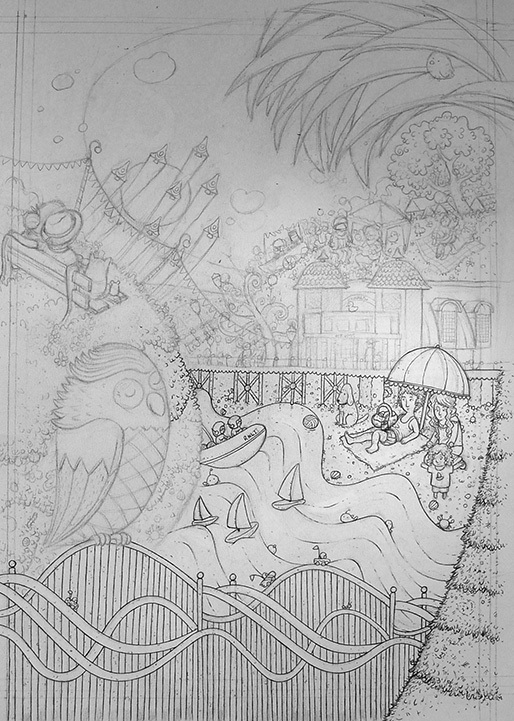 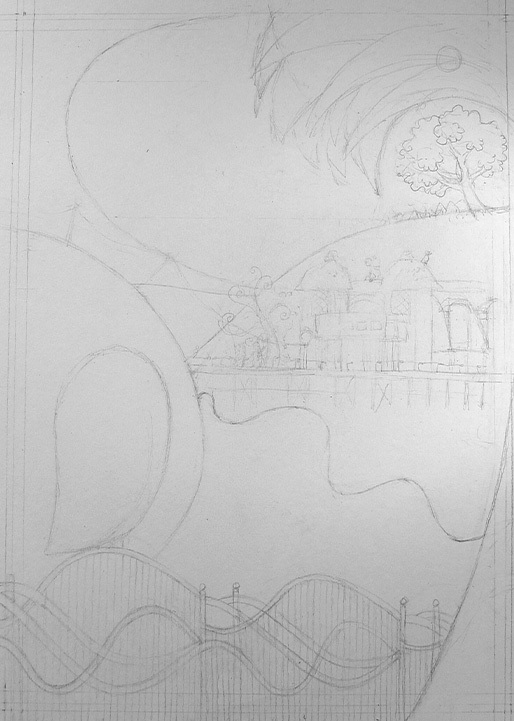 The rough, with most of the elements in place. 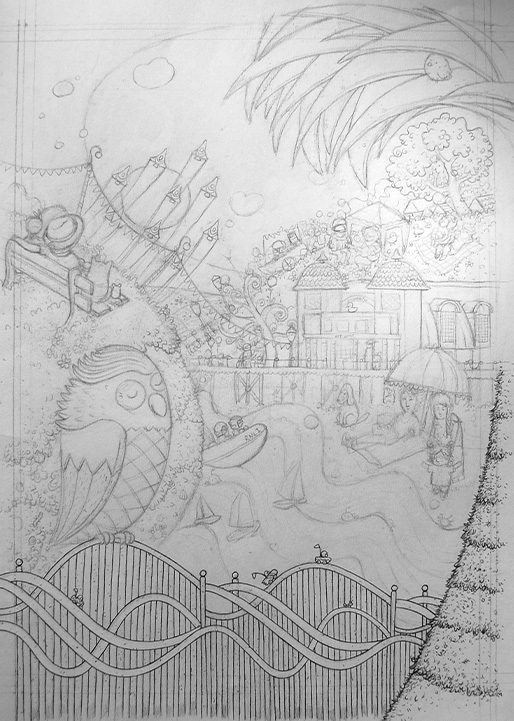 Finally the traditional step by step carousel of the final artwork creation. 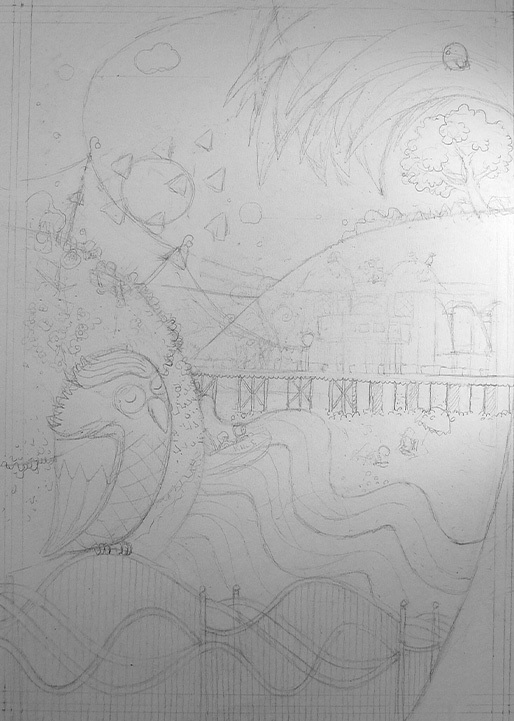 Oh, and yes, the final artwork in plain stillness.